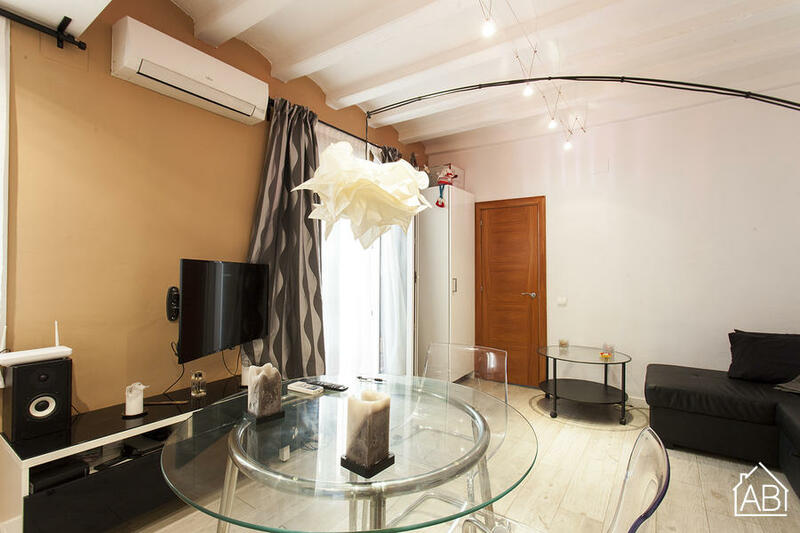 This one bedroom apartment can be found in the Barceloneta neighbourhood of Barcelona, just a short stroll from the beach. In this area you will find there are plenty of great bars and restaurants, as well as a multitude of supermarkets, and a shopping centre in the nearby Port Vell area. The metro station is located close to the apartment, and there are several bus routes in this area, meaning you´ll be very well-connected to the rest of Barcelona. The apartment itself can sleep up to 2 guests with 1 bedroom and 1 bathroom. You´ll also find a WiFi connection in the apartment, as well as a dishwasher, iron and ironing board for total convenience, not to mention the air conditioning and central heating.